Before Janet and I met I was a freelance writer, writing for other people: newspapers, magazines, websites and one previous biography for a businessman whose life, frankly, was mainly of interest to himself and his shareholders. Back then I tailored my words to suit my audience, since that is the point of a jobbing journalist, as far as I could see. But after I met Janet that all changed. I researched and wrote The Stranger In My Life because I was fascinated by Janet’s life story; I wrote for me, for my enjoyment and my entertainment and because I wanted to know what happened. I wrote about Janet’s life – and the huge gaping hole in the middle of it – because it fascinated me so much. In fact, I fell down that hole and have never quite recovered. I stopped writing for others and spent three years researching and writing TSIML: first draft, second draft, third draft. After the second draft the book was rejected by a number of agents, but one or two did speak to me and offer mild encouragement. I completed an Arvon writing course. The tutors didn’t really like my writing but I took comfort from the support of my fellow writers on the course who read a few chapters and said that the story had legs. Janet and I self published and so far, we’ve sold 2,000 copies. Which brings me to the main point of this blog post. Reviews. The honesty and depth (warts and all) is spell-binding and this proves to be a very difficult book to put down. We have had almost 100 reviews on Amazon.com and Amazon.co.uk and, as self-published writers we know that your reviews have been invaluable. We haven’t made much money from the book – I took another, steady job outside freelancing to fund my writing and Janet is in demand as a skilled dry stone waller – but in a sense, money is no longer the issue. I so admire Janet Holt, the way she has coped with all the happenings in her life, and for being able to share them with such honesty. I was gripped by this story from beginning to end and felt quite bereft when I finished the book. I highly recommend this book . We want the book to be read more widely because we think it has an important message and because we want to show that even those who have been dealt a dreadful hand in life can fight back and be victorious. Your reviews show that’s what you believe too. 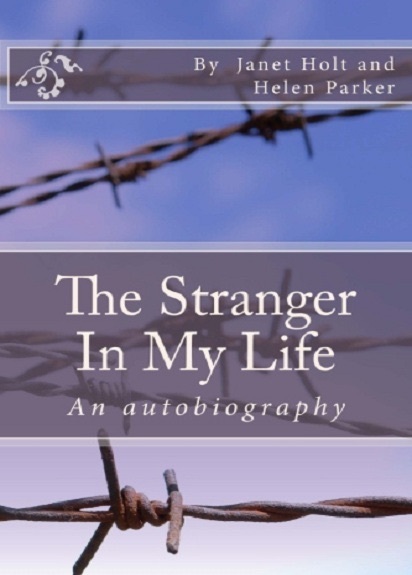 So please, if you’ve read The Stranger In My Life would you consider adding a review and help spread the word. I would urge anyone to read it. Suspend belief if you prefer and just read it as an extremely good thriller/detective/true life drama. But I suspect when you do read it you will, like me, be very convinced.